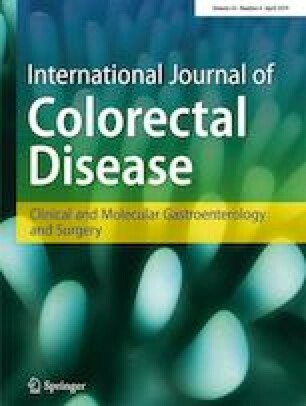 The aim of this study was to evaluate the effectiveness of initially conservative therapy compared to immediate appendectomy for acute appendicitis with abscess in terms of medical and economic outcomes. Of all the patients treated for appendicitis from January 2009 to December 2017 in five German hospitals, 240 were included in the study. Fifty-three patients received conservative (CON) and 195 patients received surgical (SUR) therapy as initial treatment. Length of stay was similar (12.5 days in CON vs. 13.3 days in SUR, p = 0.530). Readmission rate was higher in the conservative group (54.7% vs. 6.2%, p < 0.001). The majority (53.7%) of the 41 operations in CON group were appendectomies (22 procedures), 1 (4.5%) of them was in the first hospital stay because of persisting symptoms, 21 (95.5%) after a recovery interval. Seven (33.3%) of the recovery appendectomies were performed due to persisting or recurrent symptoms and 14 (66.7%) due to the request of patient. Twenty-one patients (39.6%) in the CON group did not need surgery. The rates of complication-related operations per patient (0.04 versus 0.58, p < 0.001), conversions of surgical technique (1.9% vs. 34.9%, p = 0.0287), and extended resections (1.9% vs. 31.3%, p < 0.001) were higher in SUR group. Furthermore, morbidity, hospital costs, and loss in quality of life were significantly higher in the surgical group (17.0% vs. 66.2%, p < 0.001; € 5044 vs. € 8457, p < 0.001, and 4.3 days vs. 7.5 days, p < 0.001, CON vs. SUR). Initially, conservative treatment for acute appendicitis with abscess is preferable to immediate surgical treatment in reduction of morbidity, hospital costs, and loss in quality of life.